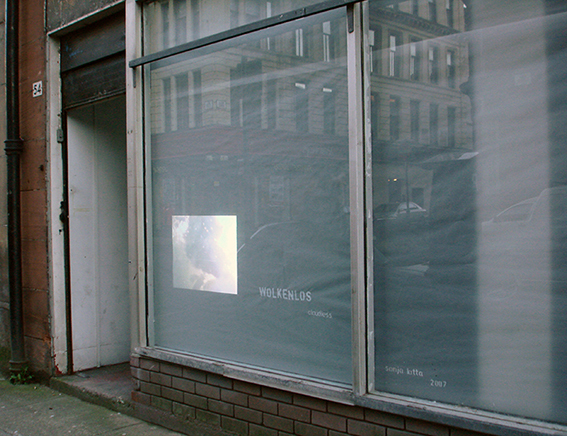 An empty storefront has inspired me to my first video installation. 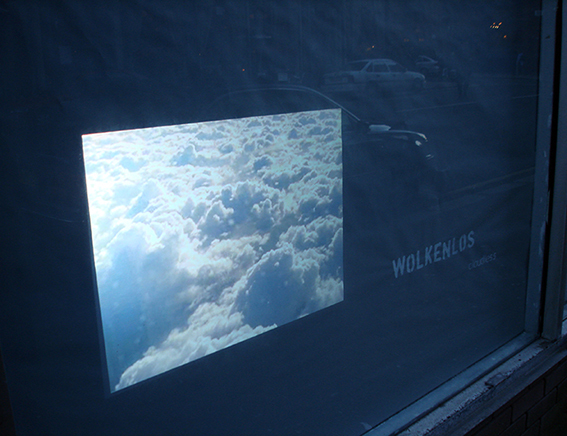 The video shows silently a view from above into the clouds. 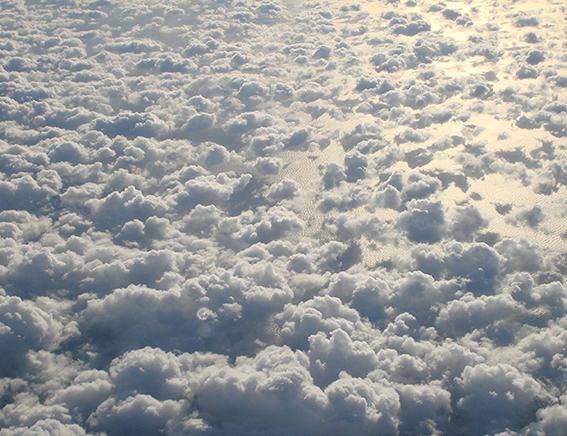 Dense and nearly impermeable, dreamy, quiet and warm it seems the place to be, a false perception.